Hate daylight saving time change twice a year? 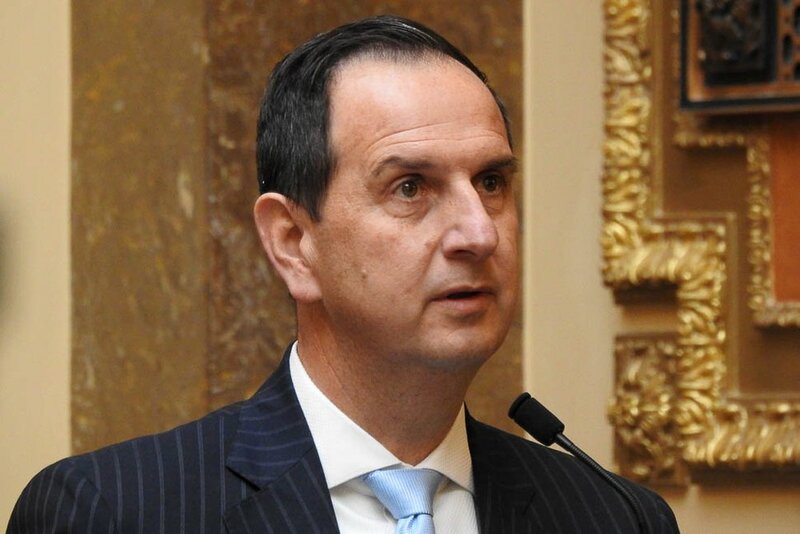 One Utah lawmaker wants to let residents vote on it. (Elise Amendola | AP file photo) . In this Oct. 30, 2008, file photo, Electric Time Company employee Dan Lamoore adjusts the color on a 67-inch square LED color-changing clock at the plant in Medfield, Mass. As most U.S. residents prepare to "fall back," a special Massachusetts commission, examining the possibility of year-round daylight savings time, plans to release its final recommendations. But it's unlikely the state would shift from the Eastern to the Atlantic Time Zone anytime soon -- if at all. After again falling back an hour over the weekend to end daylight saving time and readjusting body clocks, would you like a chance to vote to end such twice-a-year switching? The issue actually had a chance to be on Tuesday’s ballot, but legislators last year narrowly defeated a bill that would have allowed it. A Provo lawmaker who has pushed for such a public vote says he’s thinking about making another run at it. That “Nonbinding Opinion Question No. 1” asks residents if they would support raising Utah’s gasoline tax by 10 cents a gallon. It would indirectly raise money for schools by shifting some general fund money now used for transportation to eduction, and replacing it with revenue from the higher gasoline tax. Thurston complains that when he tried to ask a nonbinding question about daylight saving time — hopefully to give lawmakers enough ammunition to end perpetual debates about it — they said it would set a dangerous precedent and usurp their job as representatives. Citizen groups also gathered signatures to put three other binding propositions on the ballot this year — dealing with medical marijuana, Medicaid expansion and gerrymandering — arguing that legislators ignored polls showing voters wanted action in those areas. Thurston say he may explore allowing such a daylight saving time ballot question again, or at least try a resolution to ask the federal government to give states more power to decide how and whether to implement daylight saving time. Currently, states have the option of the twice-a-year clock changing — followed by 48 states including Utah — or they can stay on standard time all year, as Arizona and Hawaii do. They are not allowed the option of keeping daylight saving time all year, which Thurston personally prefers. Sen. Wayne Harper, R-Taylorsville, this year proposed a resolution to ask Congress to allow states the option of keeping daylight saving time all year (with Thurston as his House sponsor), but it died on a 1-5 vote in committee. Every year, some sort of daylight saving time bills are introduced in the Legislature. U.S. Rep. Rob Bishop, R-Utah, this year also introduced a bill in Congress to allow states to decide how to observe daylight saving time — but it never had a hearing. It is one of six bills about daylight saving time filed in Congress this session. Thurston sees some hope of action — both in the Utah Legislature and Congress — because Florida passed legislation this year that would make it the first state to use daylight saving time year round, if Congress will give it permission to do so. A bill has been introduced in Congress to allow that but it has had no hearings. But such action “in a big state like Florida might help us to get some traction saying, yes, let states decide what schedule and time frame works best for them,” Thurston said. Utah conducted a survey on daylight saving time in 2014, ordered through legislation. The Governor’s Office of Economic Development held several public hearings, and conducted a nonscientific survey that attracted 27,000 responses. In its final tally, 67 percent of respondents favored keeping standard time all year. Another 18 percent wanted daylight saving time all year. In last place, 15 percent preferred keeping the current system with its twice-a-year changes. (Trent Nelson | The Salt Lake Tribune) Rep. Norm Thurston, R-Provo , in the House Chamber of the Capitol in Salt Lake City, Friday February 9, 2018. Thurston said legislators gave that survey little weight because it was not scientific. He said a ballot question would carry far more weight.